I started this set coloring the in stamp with markers in grey tones because I intended mounting them on colorful cards. It is an interesting look I think. Sometimes I like working with the same image several times, but changing up the colors. For me this is how note card sets are born. A friend of mine is recovering from surgery and I wanted to send her a cheery card. 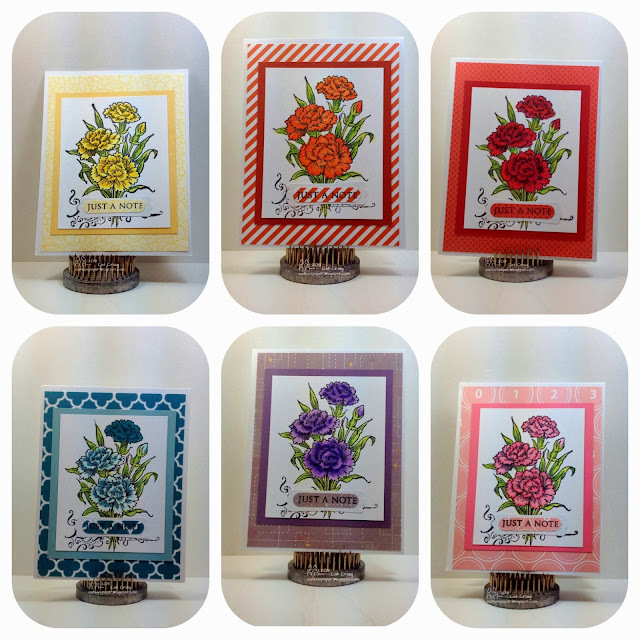 The stamps are from Stampin Up, the stems were hand drawn, the ink is Hero Arts, and the twine was a gift. I often struggle with placement of moveable items on my card fronts. I finally after 15 minutes of pushing these flowers around got the arrangement I was happy with. Now the big question...could I duplicate it...take a photo maybe? Nope. I placed a piece of card stock on top of it and flipped the card with the blooms on it upside down. 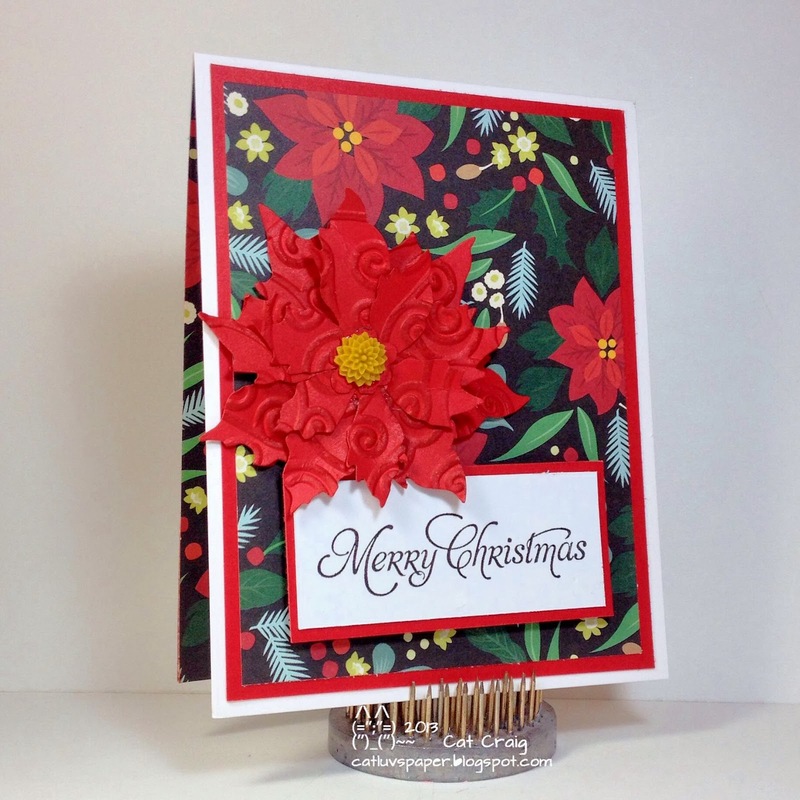 I removed the cardstock carefully so none of my punched blossoms moved. Then I used several long strips of sticky tape across the backs, placed carefully so they maintained their arrangement. Next I peeled the backer off and Voila, I was able to set it down on my card front in the same arrangement. 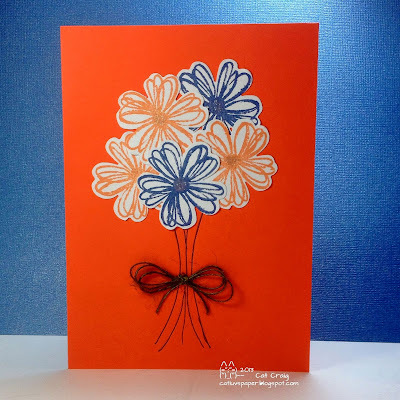 I added the twine bow with glossy accents, and decorated the inside of the card with flowers and a feel better sentiment. The flower centers also have a touch of glitz from a wink of stella pen. 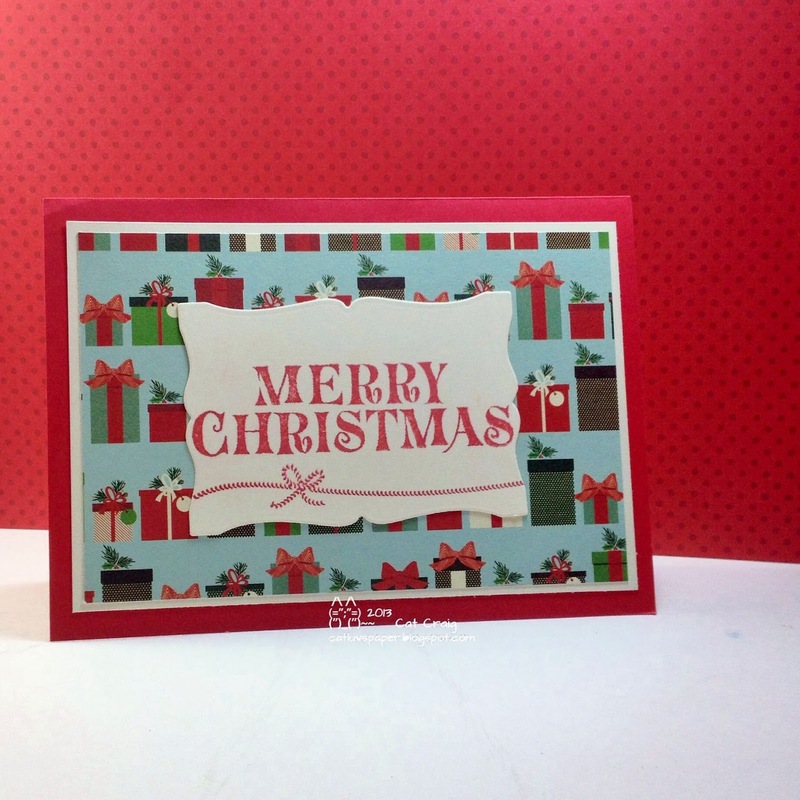 This American Crafts paper pack is full of lots of fun Christmas papers, and some that are neutral as well. 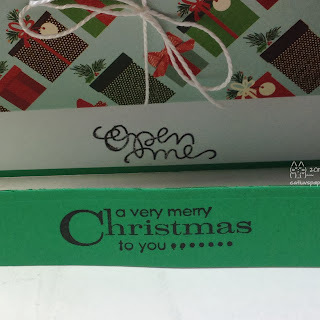 I was sending off a package from the hubs and I and figured I needed a card inside the package to house the gift card sent along with the other items. I needed to get it out to the mail quickly, so a fast card was needed. Patterned paper, a die cut and a bit of ribbon. 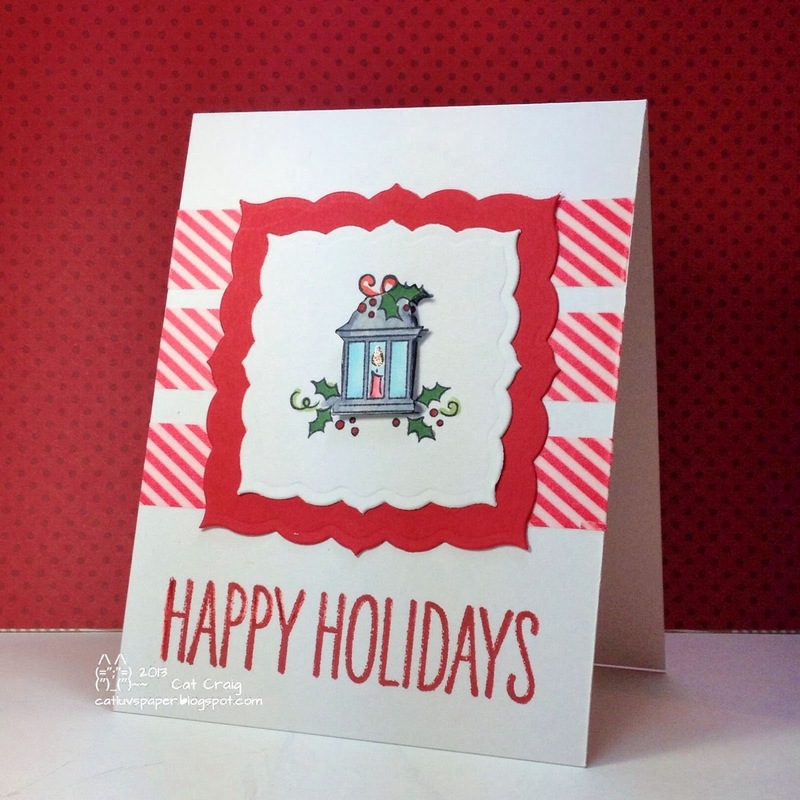 Hubs asked me to make holiday greeting cards for some of his clients. He needed 25 cards and wanted them to be simple. 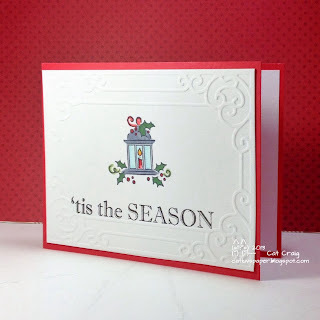 I used my favorite technique, heat embossing. Hard to see it here, the silver embossing really is shiny and beautiful against the white. Hubs and I needed some quick cards to put in the mail for the niece and nephews. 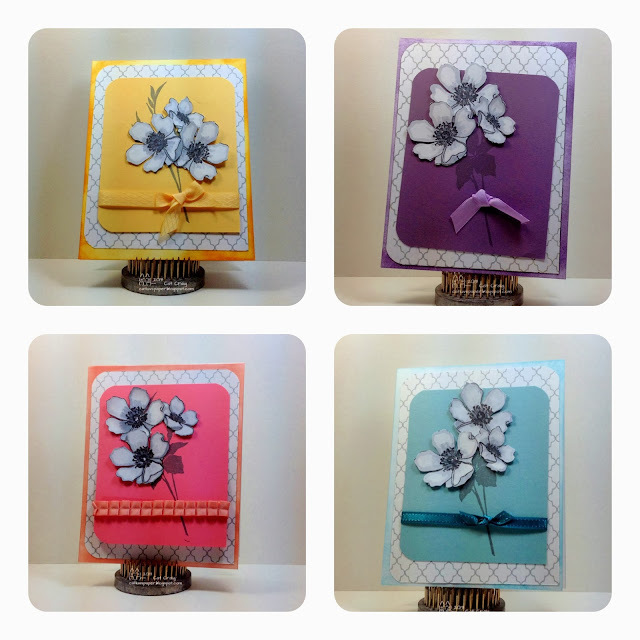 Each card has a little pocket or envelope for a monetary gift. I had gotten a 12x12 Christmas paper pad, I found this sheet to be fun. 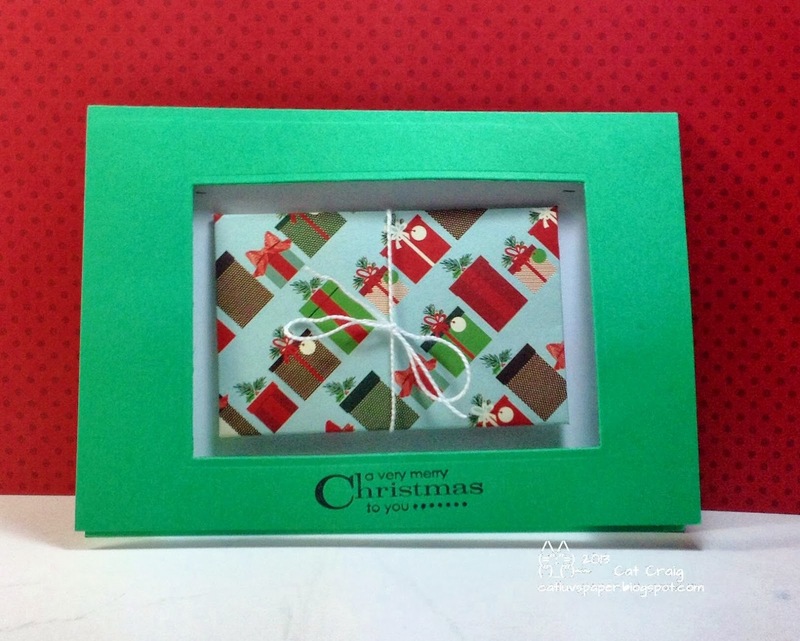 I used my envelope punch board for the little envelopes inside the cards. I went to some old Hero Art stamp sets to make this card. I used a Stampin Up blue cardstock, then heat embossed snowflakes from two sets, in silver and white. I stamped the larger ones first added the silver powder but did not heat them. Then I added the smaller and poured the white over. 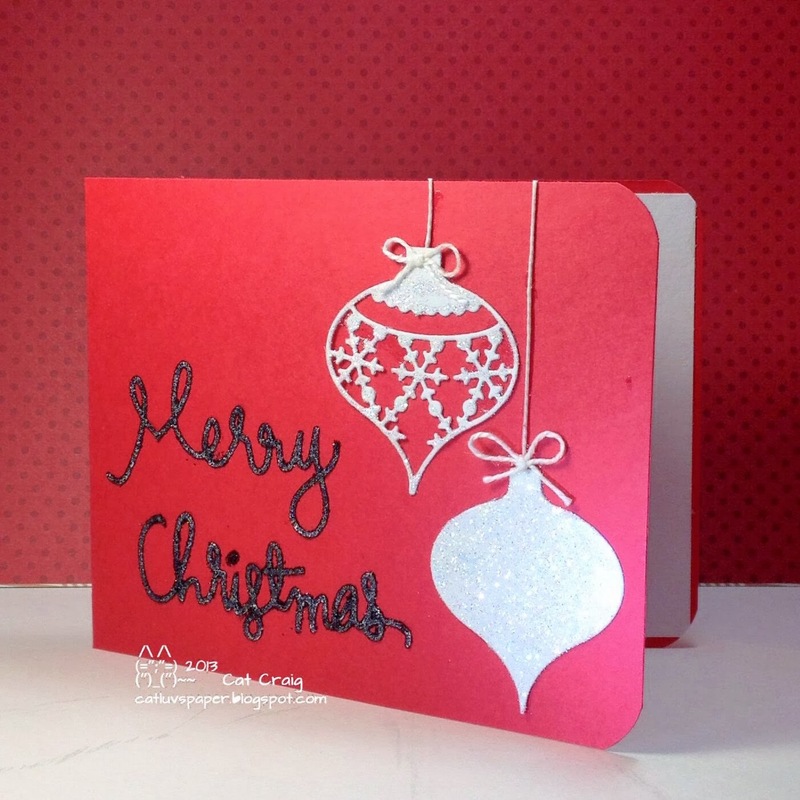 Some of the white embossing powder landed and stuck to the silver powdered flakes. Once melted I like the look on the mixed flakes. I heat embossed the snowman in silver as well, and the greeting in white. A length of white velvet ribbon and its finished. 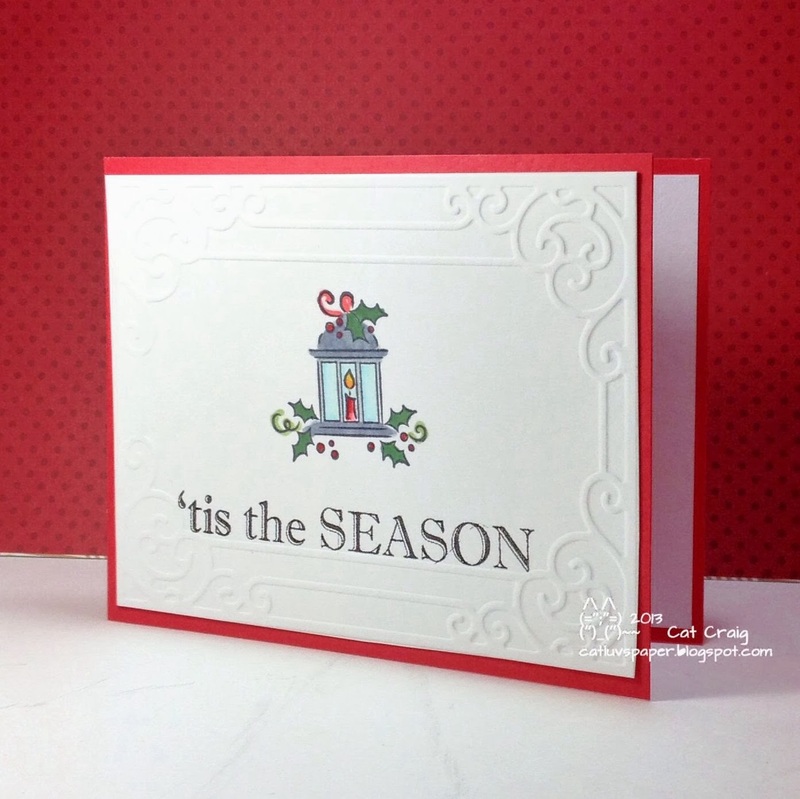 The card is soft, fun and playful. Have a wonderful holiday season, thanks for stopping by. 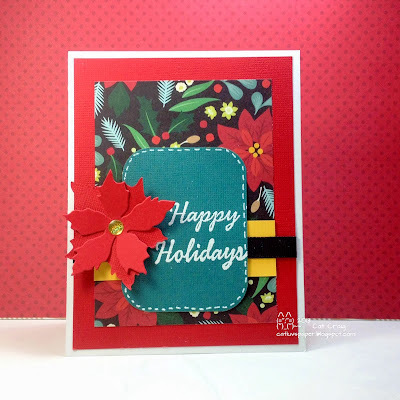 Edited to add - Submitting to Die Cut Diva's Holiday's and Celebrations. My wonderful MIL gave me a Christmas stamp last year. I had already made my holiday cards for the year; but, I wanted to be sure to use it this year. I had to figure out a design that made making 50 of them not too difficult or time consuming. 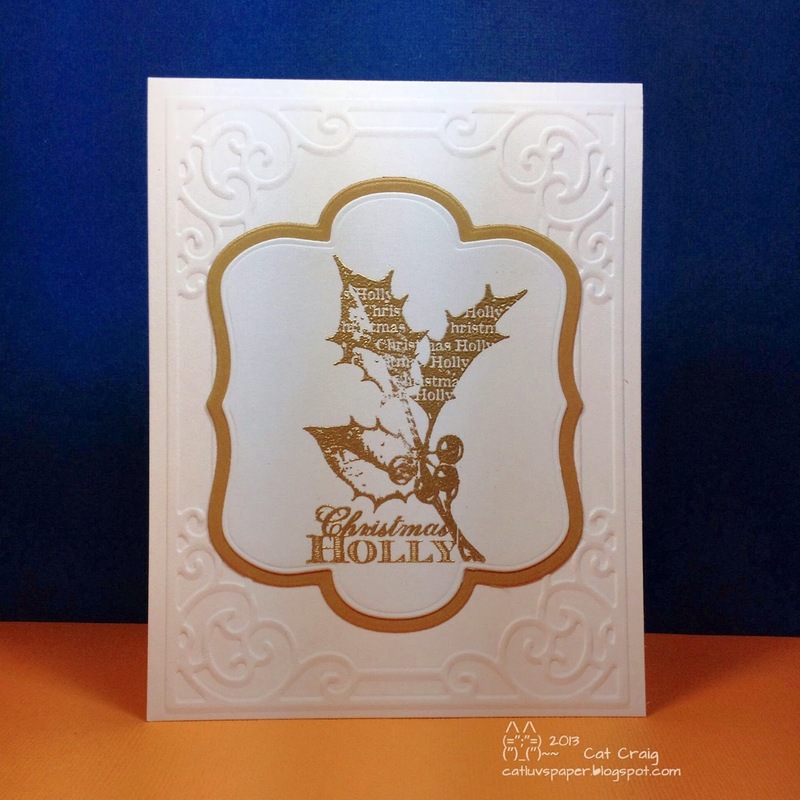 I like the metallic look this year and decided on gold embossing. 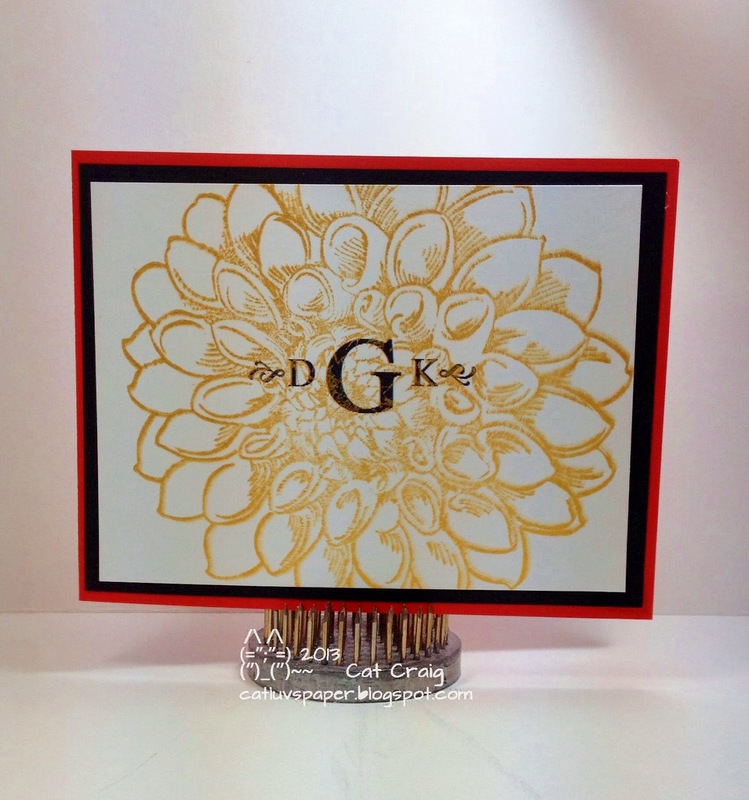 I had purchased gold cardstock for my Thanksgiving cards, but did not end up using it. Luckily I had just enough for my holiday cards. Edited to add - Thanks Arlene, for the tip. 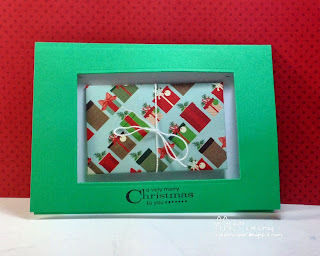 Adding this to Die Cut Diva's Holidays & Celebrations, thanks Arlene. I picked up a poinsettia die by Sizzix, and decided to play. I anticipate using this one quite a few times while making holiday cards this year. I did tear the larges of leaves and made a tighter base for the remaining layers to rest on. I thought this paper was a perfect foil for the large bloom. Hubs, who is not fond of black on cards, claimed this on to be in his top ten favorites of all time. I have to agree that it is quite eye-catching. EDITED TO ADD: Thank you Greta, I believe I will enter this into the Through the Purple Haze Challenge; the topic is Here comes Christmas Day. One more entry for this one Die Cut Diva's Holidays & Celebrations. Thank you Arlene. Just a quick card, die cuts for all the front. I covered them all with glue and dumped on glitter. A bit of white string, and that's it. 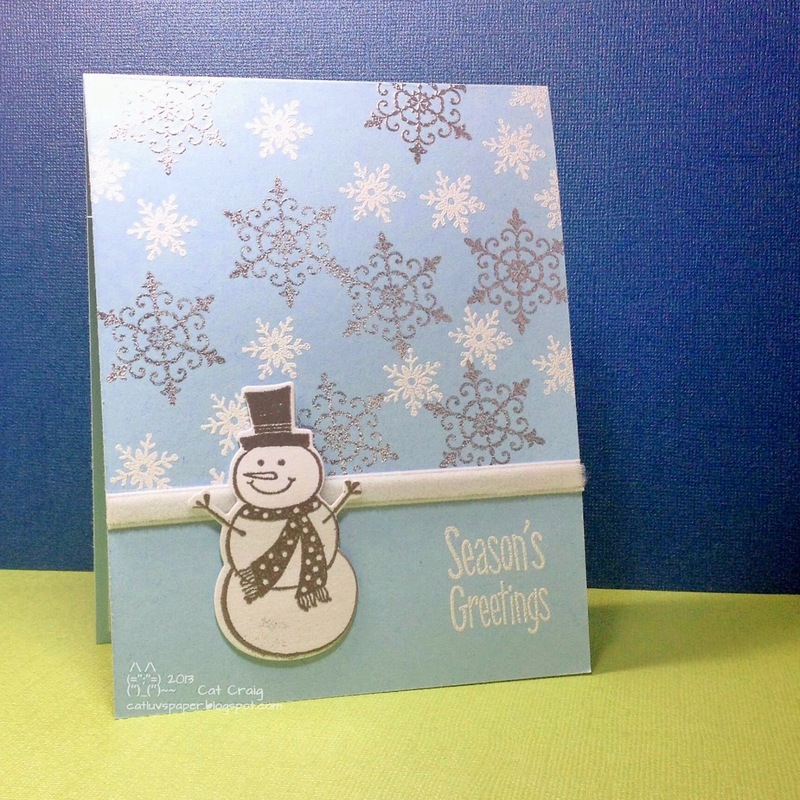 I am still loving this cute little snow man from Hero Arts. 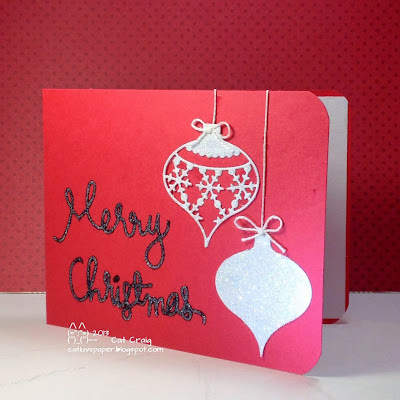 I had embossed him for another card and used the die to cut him out. I saved the negative and created this card. 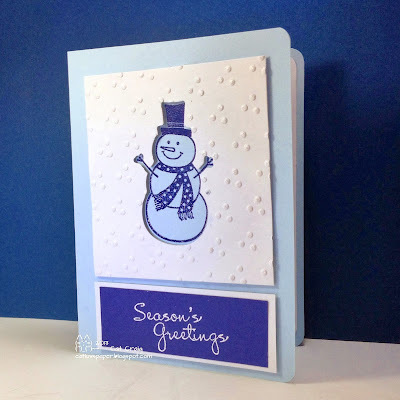 Stamping the snowman on light blue card, then using an embossing folder on the negative die cut paper to create some snow. I cut the panel to fit the card, added a sentiment block and added just a bit of wink of stella to the "snow". Thanks for stopping by. I just love that little DeNami Designs lantern. So cute. Just a quick post. 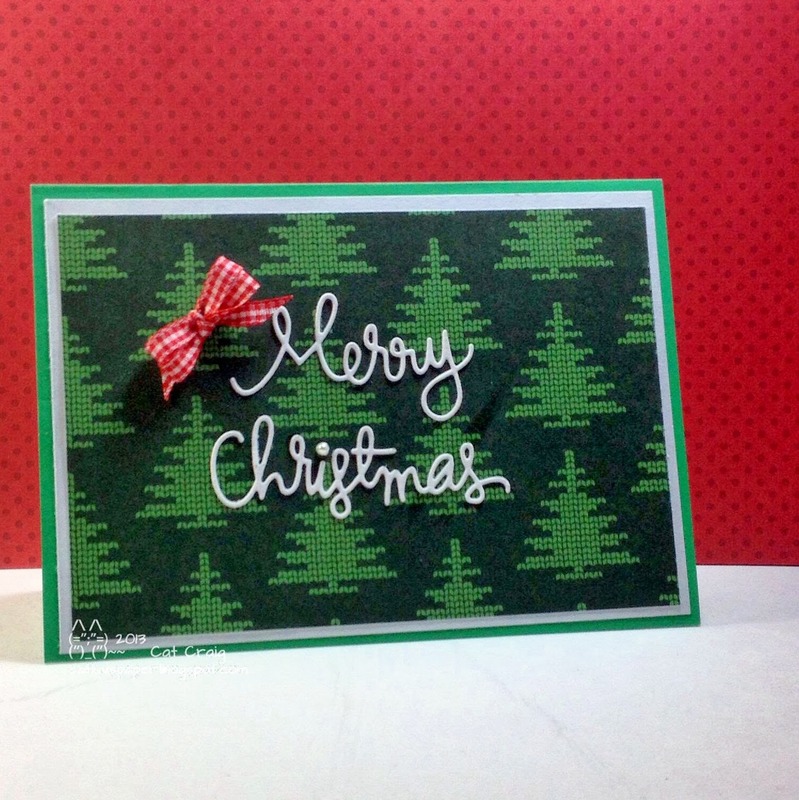 I am trying to make a few extra cards for my Dad to send out for Christmas. I left a few for him in California, but he might run out so send off a few more this week. Hope everyone is having a wonderful holiday season. I need to finish my shopping...well maybe get more than just the barest start that I have. Yikes, the days are going to fly by. 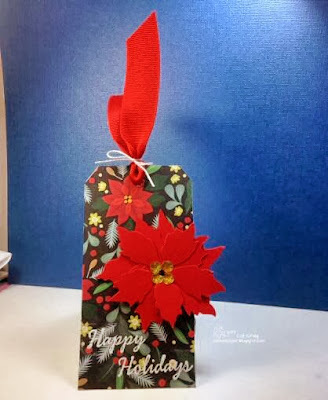 Thought this paper was so much fun, I decided to try a tag card. Decided to play along with the current Mojo Monday #322 sketch. I am using papers from American Crafts,(I am so in love with this patterned paper!) Coredinations, Ribbon from American Crafts, Tim Holtz die, Hero Arts stamp and embossing powder and an unknown yellow sparkly dot. Thanks for stopping by. I made a set of note cards for a friend having a birthday. She is one of the last great note writers. Her thank you notes are always so heartfelt and well written. She is a master of a lost art in my opinion. To have such a way with words would be a gift! I first laid out the monogram on my computer in a word processing program. I got 4 images on a piece of 8.5 by 11 inch paper. I printed the sheet out. 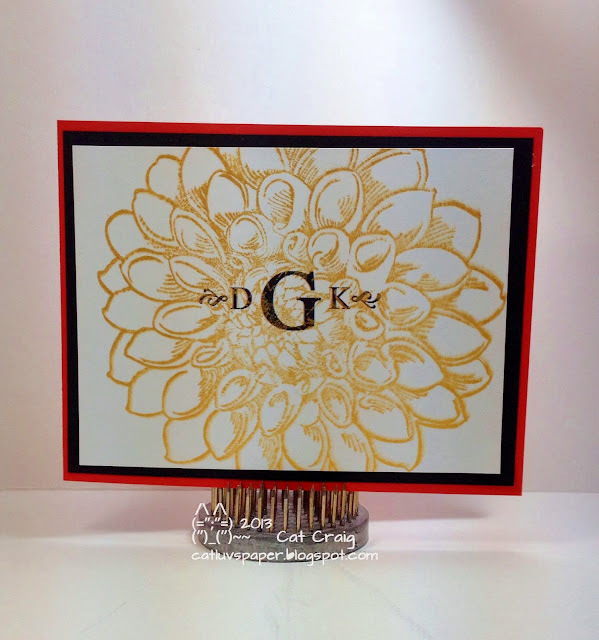 Then stamped a large zinnia in Golden Glitz Ink over the top of the printed cardstock piece. I cut them to size, matted them and placed them on red card bases. 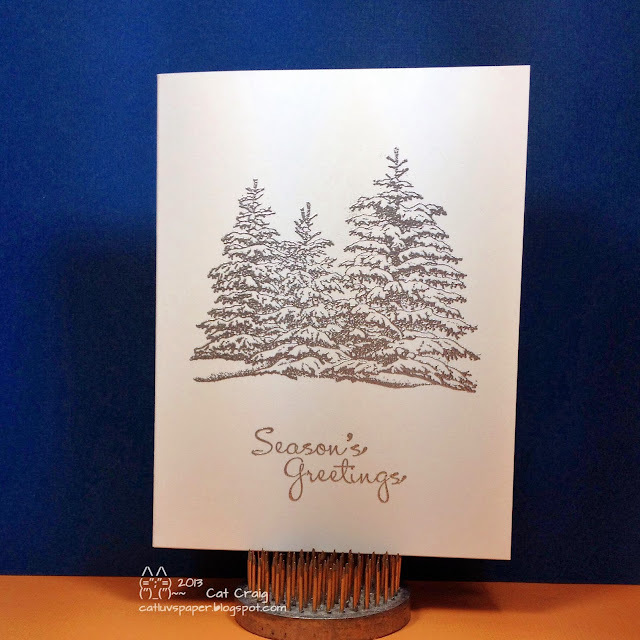 It might have been better to try stamping first, then printing over the dry stamp. Next time I'll try it that way!